Camila Cabello has hinted she's working on her first solo tracks after she spent the weekend (21-22Jan17) "locked" in a studio. The 19-year-old's life has been full of upheaval after she departed girl group Fifth Harmony in December (16), leaving Ally Brooke Hernandez, Normani Kordei, Dinah Jane Hansen and Lauren Jauregui to continue as a four-piece. After she quit Fifth Harmony, the brunette beauty admitted that she felt too "sexualised" in the group, and it got to the point where she had to "put her foot down". However, Camila delighted fans over the weekend by teasing the possibility of new solo music. "GUYS I MISS UUUUUUUU IVE LOCKED MYSELF IN A STUDIO FOR THE PAST DAYS OMG OMG OMG!!!!!!!!!! (sic)" she excitedly posted on Saturday (21Jan17), to which followers quickly responded with messages of praise and encouragement. "Can't wait to hear what your beautiful mind has to offer. So excited for CC1. Its finally time (sic)" one user wrote, while another gushed: "HOW IS IT ALL COMING ALONG ?! WE HAVE MISSED YOU SO MUCH". But Camila was disappointed that her work commitments meant she couldn't make any of the Women's Marches in the United States following President Donald Trump's inauguration on Friday (20Jan17). She did keep up with the movements online and re-tweeted various posts from events all over the nation. "My heart ACHES that I couldn't be with u this time, but I am so emotional and so proud of everyone walking the #WomensMarch today one love (sic)," she wrote. 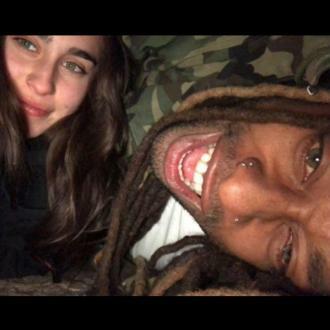 Lauren Jauregui confirms romance with Ty Dolla $ign?